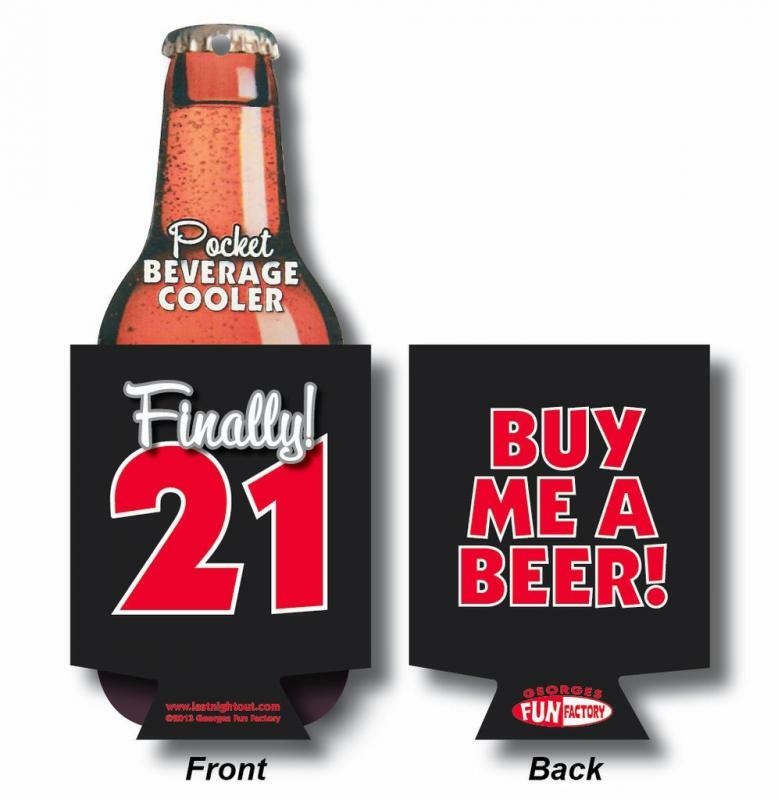 Finally 21 Beer Coolie from George's Funfactory. Finally 21! A high-quality, full color, folding beverage coolie made of scuba material that will keep your drinks cold while you're out and about! One side lets everyone know that you are finally of legal drinking age and the other side tells them to buy you a beer! Is there a better way to celebrate turning 21 than getting free drinks?! Makes a great gift along with a six pack of their favorite beverage!